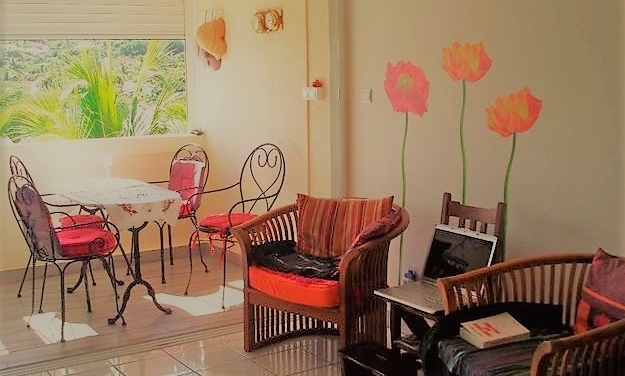 Our self-catering apartments are all located on the West Coast of Reunion Island maximum 30min drive further South from our language school. According to the availability and season, you will have a one-room flat or an apartment with 1 seperate room. It is possible to stay alone or together with a second person. The pricing doesn’t change. All apartments are fully-equiped with a kitchen, internet access and a secure parking place. Towals and bedding are included. We have different partners for the selection of the apartments and always try to respect the individual preferences and the profile of our students. Most apartments are directly located in the seaside resort of Saint Gilles les Bains where you have access to the beautiful beaches and the lagoon.